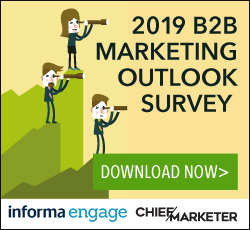 For brands, having an opportunity to leverage the Super Bowl is marketing gold. Fans, celebrities, pro athletes and the hordes of national media members trek from across the globe to take in the experience around the Big Game. Sleep Number gave a mattress to every active NFL player. The competition for attention, though, is steep. That goes for everything around the game—from the exclusive parties fighting for the A-listers, journalist breaking that “different” Super Bowl story, and of course tickets into the stadium. It’s absolutely cluttered with brands competing for eyeballs in town too—and only those officially associated with the NFL are promised prime placement within the host city. Pizza Hut became an official NFL sponsor after Papa Johns and the league parted ways after the 2017-18 season. Pizza Hut made the most of its massive corner footprint inside the NFL Experience, the NFL’s interactive theme park reserved for official sponsors at the Georgia World Congress Center. A can’t miss big screen displayed a live augmented reality experience that fans could participate in called the “Pizza Hut Dance Party.” Fans would try dance moves on the floor of the installation. Seconds later, Pittsburg Steeler’s star receivers Antonio Brown and JuJu Smith-Schuster (who are known for their eccentric dancing celebrations) appeared on the big screen dancing next to them. The free pizza was a big draw too! 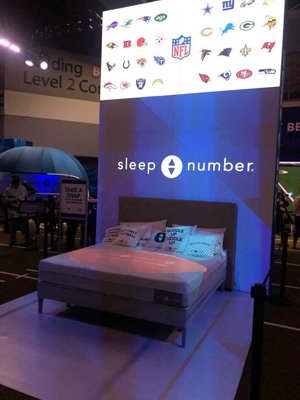 The intrigue with Sleep Number came when they announced a deal with the NFL in 2018. According to Men’s Health, the mattress brand would give every single active NFL player a Sleep Number bed. The also activated in the NFL Experience. The best part of their footprint? Fans having the ability to snap and share a photo of their ultimate fan bedroom. The digital backdrop included team logos and their name on the team’s jersey. Although they are not an official NFL sponsor, the Waffle House headquarters are just outside of Atlanta and the breakfast chain has a strong presence in the state. Waffle House was the talk of the town throughout the week and visitors bragged about their late-night Waffle House runs. At the most-exclusive and star-studded event of the week, the Maxim Big Game Experience—ATL Royalty party (featuring performances by Jamie Foxx, Future and Diplo), Waffle House served up their menu, which included waffles and hash browns. And, it created a custom Waffle House pop-up across from the Red Carpet in the venue, which included the typical signage you would see at the restaurant. It had an in-restaurant feel with topnotch people watching. Another non-NFL sponsor with HQ in Atlanta, Mercedes pulled in chatter around the Big Game. It is the title sponsor of the host-stadium, Mercedes-Benz Stadium, but the brand could not activate on the ground at official NFL locations (such as the NFL Experience). Mercedes had to get creative. The German-based auto brand decided to buy an ad in the big game after sitting out the previous year. Mercedes invited special guests and media members to the premier of the advertisement at the Mercedes-Benz pop-up shop in Buckhead and had a guest appearance from the commercial’s star, Atlanta rapper Ludacris. Attendees were given Mercedes-branded shirts in the theme of the commercial. Mercedes also had AMG GT race car simulators for attendees to experience. The popular 90s fighting video game, Mortal Kombat is making a strong comeback after its assets were bought by Warner Bros about 10 years ago. Mortal Kombat 11 hits stores in April and the video-game brand showed up in Atlanta to market its release. At Gary Vaynerchuk’s Emerging Kings event, a celebration of the world’s most entrepreneurial athletes, Mortal Kombat had a photo booth which created an extremely detailed motion poster of participants (featuring the most iconic voices and images from the game), which were then emailed and shared with the consumer so they could pub the big release on social media. Evan Vladem is a sports sponsorship consultant.